Why Research Ethics are Important. The Hobbit: An unexpected Journey, 2012. When starting an adventurous journey, also known as a research project, the essential part of collecting, analysing and writing information is the use of ethics. Whether it’s medical research, or media research (authors, script writers, journalists and public relations) each profession follows a code of ethics to ensure all participants who have volunteered to be part of the project are respected, and that the researchers collect data properly. This is the main reason why researching ethically is important. Overall this meant there was no respect for the participants, especially the students who portrayed the prisoners. Weerakkody (2008, p.75) illuminates that the prisoners experienced breakdowns, and the experiment concluded after six days instead of two weeks as the students took the prisoner and prison guard acting role on as actual identities. The Stanford Prison Experiment is essentially considered unethical because of the treatment of prisoner students and their suffering, which is outlined in the above statement. Media researchers such as Journalists and films makers have their own code of ethics. In journalism Weerakkody (2008, p.87) says Journalists have to respect privacy of their participants, anonymity and confidentiality of sources, and follow the Australian Journalists’ Association’ Code of Ethics. These are: “honesty, fairness, independence and respect for the rights of others.” (Weerakkody 2008, p.87) In other words Journalists write facts in an unbiased and neutral manner. When Harry met Sally 1989, Sony Pictures. 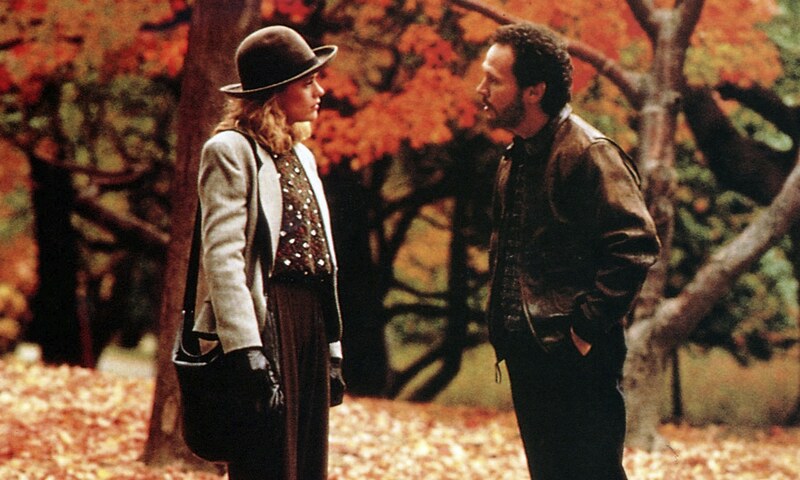 An example of documentary interviews for film is represented in 1989 movie, ‘When Harry Met Sally.’ In a TCM article, Andrea Passafiuma (2015) talks about the scenes where couples recall how they met each other. Passafiuma (2015) explains filmmaker; Rob Reiner conducted interviews with real couples, and brought in actors for the film to portray their stories. This shows good ethics as the participants who told their stories were represented fairly and respectfully. Overall it is clear that research ethics is important for researchers to conduct projects correctly and to respect and protect their participants. A lot of information here and a very interesting read! I also used the Stanford Prison experiment as an example for my ethics debate – in terms of your own research and discussion into ethics in research, do you think the experiment should have gone ahead? Personally I think yes, but in place needed to be a stringent plan in case of physical or psychological risk – what are your thoughts? I loved this post. Probably because of your hobbit reference and my obsession with Lord of the Rings. But your introduction was certainly engaging and effective in drawing me in to read your post. And it was great. Your analysis had great depth and made use of actual content from the sources which I have not been seeing as much on other blogs. It was interesting to see when exactly research ethics came about and when we actually started considering it. Great choice of sources for the post; I think you’ve captured the overall outline of ethics in research and their significance. Good work! a fantastic and diverse break down of ethics across the feilds. The sources used made this piece a clearly reliable and reputable source of informaiton, as well as very interesitng as you not only used examples from the set readings but sought out your own, in feilds very relevant to this topic. On top of all that you also managed to contect this topic with your groups area of research, creating a lovely flow to your blogs and breaking up the text with interesting video clips, so as to keep the audience engaged.